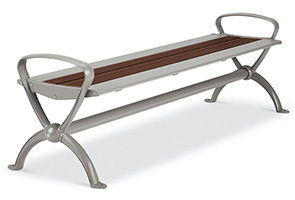 Upgrade and spruce up seating areas with Beacon Hill Series Benches—the 4' and 6' backless benches are perfect for parks, courtyards and building exteriors. 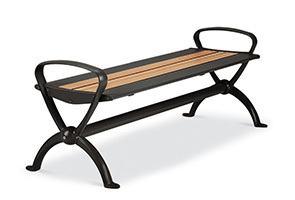 These eco-conscious, upscale benches deliver stand-out aesthetics, well-favored comfort and uncompromising performance. Engineered to maintain their original form and functionality, steel components are finished in an ultra-resilient powder-coating—ready for all-weather conditions and high volume use.